First, where are you in your private label skincare journey? Do you already have a brand or set of products that you make, or are you starting completely from scratch with just ideas and inspiration for what you want? Second, how do you want to be spending your time? If you are going to be making all your products by hand, realize that that is a significant time investment that will take away from time being spent doing other things, like marketing, for example. This isn't necessarily a bad thing, as there are plenty of small skincare business owners who run their own handmade operations and love it. You just need to be honest with yourself about what you want and what you are willing to do. You also need to know how much money you have to work with initially. Often times this can be the most important factor when assessing where you need to start in order to build your private label skincare brand. If you have a large budget, then obviously you will have more options up front than if your starting budget is more limited. This can also determine whether or not you start super small and make your initial batches by hand vs outsourcing to your private label skincare manufacturer of choice. It can also determine whether you start right now, or wait until later when you have more money to work with for your launch. If you do have the budget to begin private label formulation with a manufacturer of your choice, be sure to look at what options they provide you. Is there a selection of stock products you can choose from, or must you start from scratch and custom formulate? If you have your own formulas, will they be able to replicate them for you? Be sure to look at their MOQ's as well, as that can be an important factor when assessing if your starting budget, as well as initial product demand, is enough to meet the required MOQ. 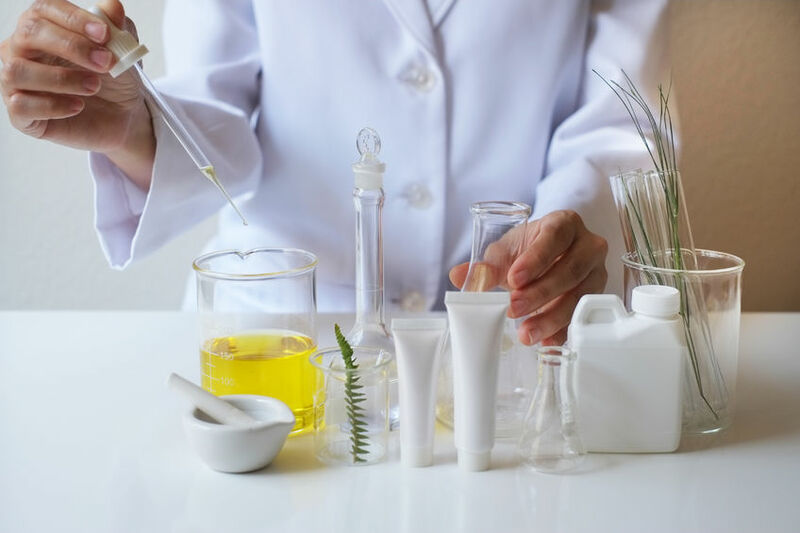 If you know that you want to work with a private label skincare manufacturer but aren't completely ready yet, you can still reach out and decide which company you would like to work with. Learn their policies, get clear on their offerings and figure out what you need to do (save more money, nail down product decisions/desires, come up with an official company name, etc.) to get started with them. Even if it takes a few more months before you officially get going with them, by doing your homework now, you'll be that much more prepared and ahead of the game.